The Leek series includes some of Kershaw's most popular knives. And no wonder. 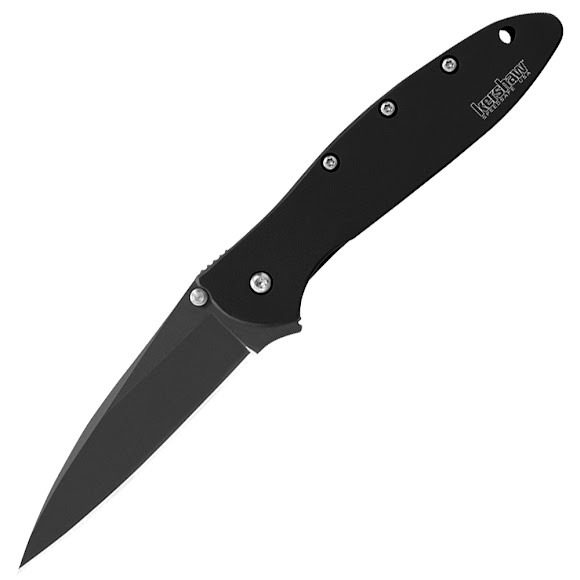 Kershaw's Leeks offer Ken Onion's distinctive design as well as the SpeedSafe ambidextrous assisted opening system. With SpeedSafe, the user can smoothly and easily deploy the blade with one hand, either left or right. For ease of carrying, all Leeks include a reversible/removable pocket clip. The Leek series includes some of Kershaw &apos;s most popular knives. And no wonder. Kershaw&apos;s Leeks offer Ken Onion&apos;s distinctive design as well as the SpeedSafe ambidextrous assisted opening system. With SpeedSafe, the user can smoothly and easily deploy the blade with one hand, either left or right. For ease of carrying, all Leeks include a reversible/removable pocket clip.